Giveaway: Activated Charcoal Natural Teeth Whitener Teeth Whitening… | FreebieOrBust Freebies! Do you have a wish list of products available at top retailers online? We want to make your dreams come true, with our fantastic sweepstakes giveaways! Take advantage of this once in a lifetime offer. 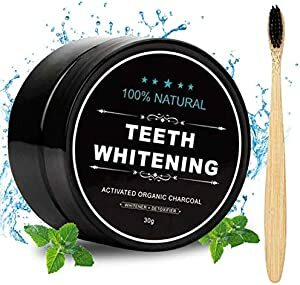 Activated Charcoal Natural Teeth Whitener Teeth Whitening Charcoal Powder Proven Safe For Enamel with Bamboo Brush 1.05 oz. Your odds are 1:300. A total of 10 prizes are available. Sweepstakes hosted by Amazon and Aotto charcoal teeth whitening. Good luck! Everyone loves freebies! Join our sweepstakes community and keep checking back for the chance to win big!